A simple, no-fail pancake recipe that guarantees light and fluffy pancakes, every single time. Somewhere along the line we started a tradition of pancakes for breakfast on Saturday mornings. Most of the time, the kids cook it with little to no assistance from us (which is totally fine with us). Although we still need to train them on the clean-up portion of cooking …! This recipe was perfected by my husband, Grant. 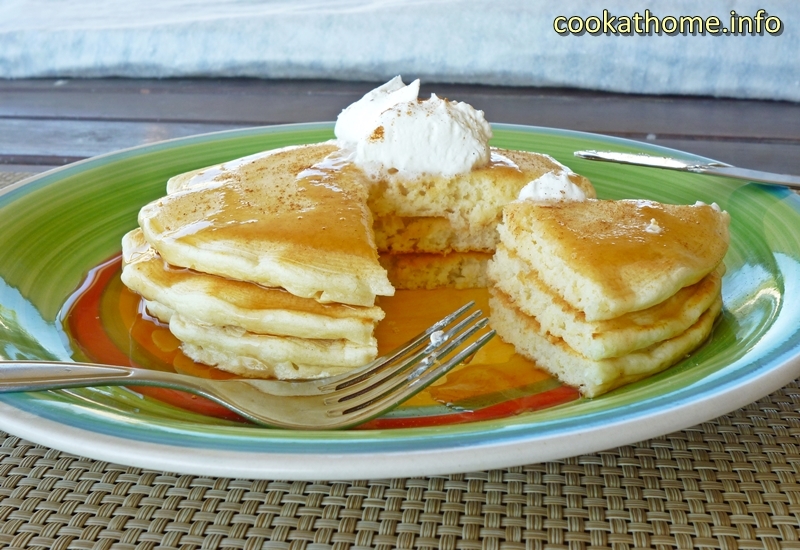 Gives light and fluffy pancakes, EVERY single time. Even with the gluten-free flour blend … maybe just because Grant is the Pancake King! So I had to title the recipe ‘Pancakes by Grant’ – give him ALL the credit. If you want thicker pancakes, add some more flour. If you want thinner pancakes, add some more milk. More often than not, we will also just use plain gluten-free flour and add 2 tsp baking powder for each cup of flour to make it rise. A tip to make sure these light and fluffy – add the baking powder at the beginning and also in the middle of cooking – otherwise the batter kind of collapses on itself. 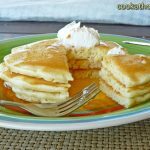 Feel free to check out the other pancake recipes on this website, including using almond flour, or even no flour! Preheat the frying pan to a medium-high heat. Using a 1/4 cup, pour batter onto frying pan. Wait until bubbles appear on the top and the batter loses its glossy appearance before flipping.